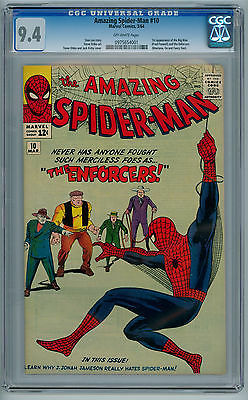 AMAZING SPIDER-MAN #10 CGC Graded at 9.4 NM with Off White pages. A really beautiful copy with excellent centering. I will pack very securely in a double box. Hi...I will be away until August 19th so please bear that in mind if purchasing...Thanks! !